Most of us have water purifiers at our homes and offices. These purifiers help keep our drinking water free from pollutants and 100% pure. This way, we don’t get affected by any kind of waterborne diseases caused by bacteria or viruses. Other water-related problems like stomach aches, kidney stones, and even cancer are prevented if water purifiers are used to purify drinking water. This makes them really important for every household or office space. There are many types of water purifiers. If you search for water purifier online, you would get a ton of water purifier results. Therefore, it can be pretty difficult to search for what you need. 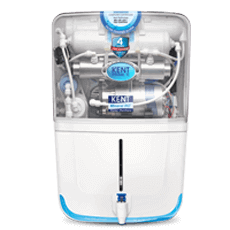 Here is an apt comparison between the two most common types of water purifiers: RO Water Purifiers and Gravity Water Purifiers. RO water purifiers are the most sophisticated type of purifiers in the market. These purifiers can purify any kind of water supply. They are ideally used for water supplies that have a high level of Total Dissolved Solids or TDS. The unique thing about the latest RO water purifiers is that they come with a TDS controller that ensures that all the essential minerals stay in the drinking water. As RO purification technique is just responsible for getting rid of extra minerals and other dissolved solids from the water, other purification techniques are generally implemented with RO filtration. The common types of RO purifiers are RO+UF, RO+UV and RO+UV+UF. Each of these have carbon filtration as that is responsible for getting rid of chlorine and other harmful chemicals from water. Water supply is first connected to a carbon filter that filters out all the chlorine and other harmful chemicals. After carbon filter, the water is passed through RO (Reverse Osmosis) semi permeable membrane. This membrane lets only pure water through and all the dissolved solids are left behind in impure water. The impure water is removed from the container using a discard pipe. TDS controller is implemented here to ensure essential minerals stay in the water. The water is then subjected to a UV radiation lamp that kills all bacteria and viruses. For added purification, the water then passes through a UF membrane that is 0.3 microns thick. This ensures no impurity makes it to the final pure water. This is how an RO water purifier works. Gravity-based water purifiers are state-of-the-art filters that use no electricity to purify water. They are lightweight and compact, which makes it easy to move them from one place to another. All the filters are inside the purifier, which makes them even easier to handle. These purifiers use filters that just need the water to pass through them. They have been around for generations and technology has perfected the process even more. The impure water is passed through a carbon filter that removes all the chemical-based impurities from water. Once the water is clear of carbon filtration, it passes through a UF membrane that has a pore radius of less than 0.3 microns. Due to this, the water easily passes through, but impurities like bacteria and viruses are unable to do so. The final purified water is then collected in a container or directly served for drinking. Gravity-based water purifiers are ideal for places where the TDS value in the supply water is low. They are affordable and simple to use. Both RO water purifiers and gravity-based water purifiers purify water in different ways. They are ideal for their special purposes and good at giving 100% pure water for their users.